Welcome! Thank you for joining me here on my blog. Today I'm sharing a couple of cards I created a couple of months ago using the Waffle Flower Monochrome Stamp Set and new coordinating dies and sharing a rainbow inked background for the mostly black and white images. Let's get started! I love that Waffle Flower released dies for the Monochrome Stamp Set. Now you can easily die cut all the cute little images! I stamped the animals from the set using Black Dye Ink. The sheep with the white body was customized with a heart outline and then the solid red heart stamped with Waffle Flower My Pleasure Ink. 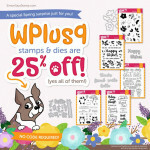 The thought bubbles from the Monochrome Stamp Set were stamped with Waffle Flower My Pleasure Ink , Oh Happy Day Ink, You Said What Ink, Chirp Chirp Ink, Daydreaming Ink, and Happy Go Lucky Ink. The images were die cut with the coordinating Monochrome Dies. For the backgrounds, I used an Ink Duster to apply Waffle Flower My Pleasure Ink , Oh Happy Day Ink, You Said What Ink, Chirp Chirp Ink, Daydreaming Ink, and Happy Go Lucky Ink by masking off each area with post it tape and dusting on the ink. This gives such a smooth application of dye inks and is a great way to add interest to a card design! I created cloud borders for the bottom of each card with the Scenery Dies, die cutting two borders for each card. On the border in the front, I stamped a greeting and the heart image from the Monochrome Stamp Set using Black Dye Ink. I colored in the little heart with a red marker. The animals were tucked in between the two cloud borders and the thought bubbles attached to the card as shown. Glossy accents was used to add detail to the eyes and hearts. I can't get enough of mermaid cards, shaker cards, or the awesome Ocean Scene Builder stencils. So why not use them all on this underwater mermaid scene shaker card?!!! Many times when I create shaker scene cards, I like for the frame of the shaker to blend seamlessly into the inside of the shaker for a continuous scene. For the background I painted watercolor cardstock with Kuretake Gansai Tambi watercolors. Once the background was completely dry (I used a heat tool to speed up dry time), I layered more of the paint on top through the Ocean Scene Builder Stencils for an awesome underwater ocean look. These stencils are fabulous for creating that light filtering effect! Once dry, I die cut a rectangle from the center of the panel using an A2 Double Stitched Frame Die. The center background piece was adhered to a white top fold card base using the frame as a guide to perfectly center it. Greetings from the Mermaid Song Stamp Set and bubbles from the Swimming By and Under The Sea stamp sets were stamped on a piece of acetate using white StazOn Ink. With the greeting stamped on the acetate shaker window, it will always be legible and doesn't get covered up by the shaker material. The mermaid and turtle from the Swimming By Stamp Set, seaweed from the Under The Sea Stamp Set, and the starfish from the Mermaid Song Stamp Set were stamped on smooth white cardstock using black ink, colored with Copic Markers and die cut with the coordinating dies. The mermaid was adhered to the inside of the shaker and the hair and mermaid tail were embellished with a white pen and a glitter pen. The front of the shaker was adorned with the rest of the images as shown. Two layers of foam tape were used around the outer edges of the shaker, filled with a sequin mix and the front of the shaker was adhered in place. The card was finished by adhering additional sequins to the card front and filling in the bubbles and starfish eyes with Glossy Accents. Hello! Today I'm sharing a Designer Series project featuring the Little Girl Agenda Stamp Set and coordinating dies. Heart Windows created with a Dotted Detail Creative Cuts die provide the perfect windows for these cute images and greetings from the Cross My Heart Stamp Set match the mood and feeling of this loving heart design. I started with the background and trimmed a piece of Bristol Smooth Cardstock to 4" x 5 1/4" before die cutting the Dotted Detail heart from the panel three times. I kept the heart die cut to color and add behind the window openings. A greeting from the Cross My Heart Stamp Set was stamped on the panel using Versamark Ink and heat embossed with white embossing powder. Spun Sugar and Candied Apple Distress Inks were applied over the panel for embossed resist and to add color to the background. Water from a Distress Sprayer was spritzed over the background and blotted dry to add distressing. Candied Apple Distress Ink was applied to the die cut hearts and they were dried with a heat tool to speed up the ink drying process. An additional greeting from the Cross My Heart Stamp Set was stamped on black cardstock with Versamark Ink and heat embossed with white embossing powder before being trimmed into a thin strip and adhered underneath the embossed resist phrase. The heart window panel was adhered to a white top fold card base with foam adhesive and the solid hearts were adhered inside each opening as shown. Images from the Little Girl Agenda Stamp Set were stamped on smooth white cardstock using black ink and colored in with Copic Markers before being die cut with the coordinating Little Girl Agenda Dies. The images were adhered next to the greeting and inside the heart "windows". The card was finished with a scattering of sparkling clear sequins and iridescent heart confetti. Happy Monday! I am absolutely thrilled to be guesting with Hero Arts today for the August My Monthly Hero Card Kit release! The August My Monthly Hero Kit and Add Ons are now available in the Hero Arts Online Store HERE. The kit is valued at $77, an amazing deal at $34.99! 1 Stencil 5.25" x 6.5"
The kit is available for a limited time only - once it's gone, it's gone. Kits begin shipping from Hero Arts on Friday August 11. 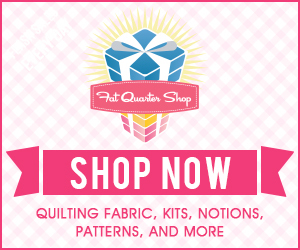 SUBSCRIBE NOW to receive the kit monthly and never miss one! To build the night sky background, I first applied Peacock Feathers, Faded Jeans, and Black Soot Distress Oxide Inks. Once the Distress Oxides are blended well, I spritzed the backgrounds with the Metallic Blueberry Mist and the Gold Shimmer Mist from the kit. I think you get the best results with the distress inks when you let the mists sit for about a minute and then blot dry with a paper towel. Once the background is completely dry, I flicked white opaque paint over the backgrounds with a small paintbrush. When the paint is completely dry I stamped the silhouette images from the card kit 6" x 8" stamp set included in the kit on the inked backgrounds using black dye ink. Stardust images and greetings from the stamp set were stamped with Versamark Ink and heat embossed with Platinum Embossing Powder or White Embossing Powder. The embossed areas add another layer of dimension and interest to these night skies! Clouds from the stamp set were stamped on vellum using Versamark Ink and heat embossed with white embossing powder before being die cut with the coordinating die and adhered to the cards as shown. Each background was trimmed to 4" x 5 1/4" and adhered to a white top fold card base to finish the design. Add ons also available at Simon Says Stamp! Hero Arts is giving away one kit as a prize to one blog reader selected from the comments across all of the blogs in the hop. (Hero Arts will reimburse you if you've already bought the kit). Giveaway closes Sunday, August 13th at 11:59pm, and the winner will be announced the following week. Nichol Spohr <--------you are here. Hello friends! Today I'm sharing a tri-fold card featuring the incredible Lawn Fawn Plane and Simple Stamp Set. Sometimes a standard size card front just isn't enough room for the story you want to tell and a tri-fold card is the perfect solution! The base of the card was created from Canson Watercolor Cardstock. I trimmed the 12" long watercolor paper to 5 1/2" wide and scored it 4" from each end. This makes the card just a little narrower than a traditional A2 sized card. Color was added to the card base with Broken China Distress Oxide Ink and Faded Jeans Distress Oxide Ink using Ink Blending Tools. The background was spritzed with water from a Distress Sprayer and blotted dry with a paper towel. Borders were created for the bottom of the card by die cutting smooth white cardstock and vellum using the Puffy Cloud Borders Dies. A Stitched Trails Die was used on the three white cardstock cloud panels. Greetings from the Lawn Fawn Plane and Simple Stamp Set were stamped with Lawn Fawn Peacock and Blue Jay Inks. Additional Stitched Trails Dies were used to created stitching detail on the card base itself. Images from the Lawn Fawn Plane and Simple Stamp Set were stamped on smooth white cardstock using Lawn Fawn Jet Black Ink and colored with Copic Markers before being die cut with the coordinating Plane and Simple Dies. Faces were added to the clouds and cheeks were stamped with Lawn Fawn Ballet Slippers Ink. The images were adhered to the card base to build a scene as shown and detail was added with a Sakura Black Glaze Pen and Glossy Accents. The card was finished with a scattering of Pretty Pink Posh Iridescent Star Confetti. 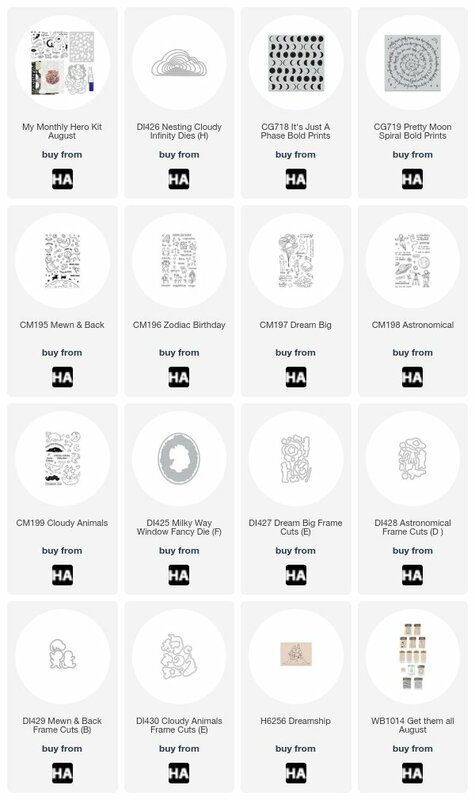 Click codes below the thumbnails are links to where you can purchase the products shown in this post from Simon Says Stamp. Where available I use compensated affiliate links at no extra cost to you. Thank you so much for your support! Hello friends! 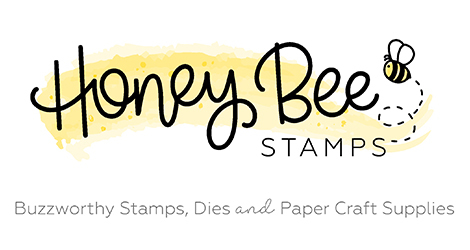 I'm so excited to be guest designing for My Favorite Things today with a scene card featuring a stenciled background and the adorable images from Party Like A Pirate Stamp Set. Scene cards are some of my most favorite cards to make but sometimes building the scene creates a lot of bulk. Stencils are a fantastic way to create a background for almost any scene without the bulk of lots of die cut layers. Pirate image seem to be all the rage right now and these awesome MFT Birdie Brown images are the perfect size for coloring! I just love all the MFT Birdie Brown line of stamps! Fossilized Amber Distress Oxide Ink was applied to Bristol smooth cardstock before the same color was applied over the inked background with the Radiating Rays Stencil. Water droplets were added to the background with a Distress Sprayer for a fantastic oxidized effect. Along the bottom edge of the same piece of cardstock Vintage Photo Distress Oxide Ink was applied. I didn’t worry too much about where the inks meet since I’ll be covering up the seam with a stamped greeting banner. Images from the Party Like A Pirate Stamp Set were stamped on smooth white cardstock and colored with Copic Markers. Birds were stamped directly on the background. The rest of the images were die cut with the coordinating Party Like A Pirate Dies and adhered to the background as shown. A glitter pen was applied to the coins to give them a bit of glimmer and Glossy Accents was used to add definition to the parrot’s eye. A greeting from the Party Like A Pirate Stamp Set was stamped on a die cut Stitched Fishtail Sentiment Strip with Versamark Ink and heat embossed with white embossing powder. The greeting strip was adhered to foam adhesive right below the die cut images to help “ground” them and give them a place to stand. The panel was adhered to a white top fold card base to finish the design. 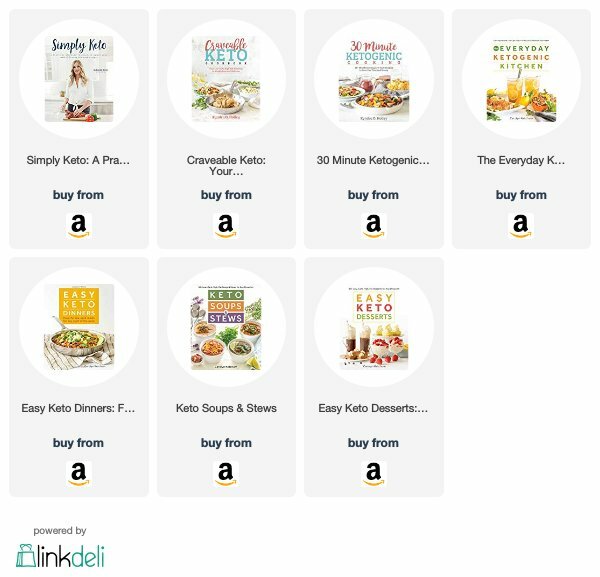 Click codes below the thumbnails are links to where you can purchase the products shown in this post from My Favorite Things, Simon Says Stamp, or Ellen Hutson. Where available I use compensated affiliate links at no extra cost to you. Thank you so much for your support! Hello! Today I have a Designer Series card featuring a custom die cut frame background with the Framed Tags Chelsea Dies. A good basic die set is essential for creating fantastic custom backdrops and backgrounds for cards. The large scallop rectangle die in the Chelsea Collection is the perfect base with it's stitching and dot detail. For my card share today I used the circle die from the set to create custom windows in the background for the cute Three Amigos and Dos Amigos to pop out of! The background was die cut from Bristol Smooth Cardstock using the Framed Tags Chelsea Dies. The circle die was used three times to create three windows in the scalloped rectangle. The edges of the rectangle from the stitching lines to the scallop were masked off with post it tape and then Faded Jeans and Tumbled Glass Distress Inks were applied to the background for an ombre blue effect. The background was spritzed with water from a Distress Sprayer and blotted dry with a paper towel. When the post it tape is removed the panel gives the illusion of a Distress Inked panel matted on a white scallop rectangle but it's all one piece! 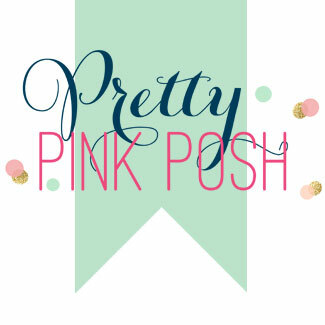 This is one of my favorite ways to get a "faux matted" look. The images from the Three Amigos Stamp Set and the Dos Amigos Stamp Set (this is a collaboration stamp set with Hampton Art) were stamped on Neenah Smooth White Cardstock with a black ink for Copic Coloring and colored with Copic Markers before being die cut with the coordinating Three Amigos Dies and Dos Amigos Dies. Additional embellishment images from the Three Amigos Stamp Set were stamped and colored in as well to add to the design. The critters were adhered to appear to be popping out from the die cut circles and the rest of the images were adhered as shown. The whole panel was adhered to a white top fold card base with foam adhesive for a bit of dimension. The design was finished with a scattering of sequins and confetti, black gel pen to the eyes, and Glossy Accents on the hearts and noses of the critters. For the background, I die cut a piece of the new Lawn Fawn Moonstone Cardstock with an Outside In Stitched Rectangle Die and then used the Ocean Wave Dies to create wave "slots" in the background. I inked up the edges of the panel with Stormy Sky Distress Ink and then spritzed the cardstock with water from a Distress Sprayer and blotted it dry with a paper towel. Once dry, I stamped the "Duh-Nuh" greeting from the Duh-Num Stamp Set all over the background with Stormy Sky Distress Ink. I stamped the shark fins and fish from the Duh-Nuh Stamp Set on smooth white cardstock using Lawn Fawn Jet Black Ink, colored the images in with Copic Markers and then die cut them with the coordinating Duh-Nuh dies. I tucked the images in the die cut Ocean Wave Accents and then secured the entire panel to a white top fold card base. For the Magic Color Slider, I die cut the slider and slider track from Moonstone Cardstock, the background and slider from smooth white cardstock, and the window transparency panel. On the background panel and transparency panel (both cut from the same die), I stamped images from Duh-Nuh and Fintastic using Lawn Fawn Jet Black Ink for the smooth white cardstock and StazOn Black Ink for the transparency. I used the MISTI to perfectly line up the images. It's super important when you're creating a magic color slider that the images on the window and the images revealed line up perfectly. The images on the white panel were colored in with Copic Markers. ***TIP * When creating these Magic Color Slider cards, use masking or only stamp on the background (inside scene) of the magic slider. You won't want to use die cut or other dimensional items because the slider track won't move well with any dimension. Assemble the magic color slider as shown in the video below. I stamped the "slide me" greeting from the Push Here Stamp Set at the top of the tap of the slider so the recipient knows the card is interactive. On the front acetate window of the slider I added some Simon Says Stamp Eyes On You Shape Stickers and Glossy Accents to the water bubbles. By adding those dimensional elements to the window instead of inside the slider, you still have the fun dimension but the slider doesn't catch on anything! Plus you see the fun eyes and bubbles even when the slider is closed! The Magic Color Slider was adhered to the front of the card and a banner was die cut from Blue Jay Cardstock using a Magic Color Slider die and stamped with greetings from the Duh-Nuh Stamp Set using Versamark Ink and heat embossed with white embossing powder!